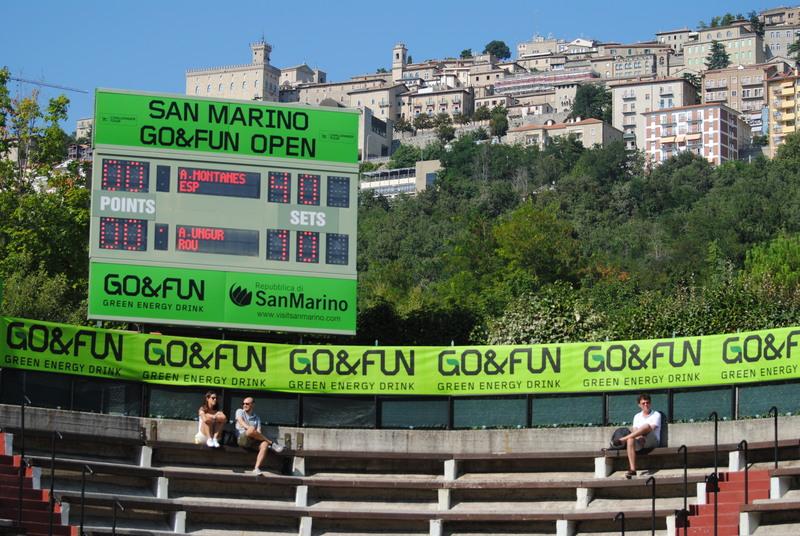 In 2008 UNESCO’s Committee, whose members gathered in Quebec, Canada, decided to include the old towns of San Marino and Borgo Maggiore and the nearby Mount Titano in the prestigious List of World Heritage Sites. This recognition plays a fundamental role for the Republic, the oldest one in the world which still retains its original values of authenticity and identity. The small portion of territory, which was included in the list covers an area of approximately 55 hectars. It comprises San Marino’s old town, the three Towers (Guaita, Cesta and Montale), Mount Titano, Borgo Maggiore’s Old Town and the rock. San Marino’s glorious historical vicissitudes bear witness to the outstanding development process experienced by this micro-state, which has been able to retain its autonomy and independence all over the centuries. 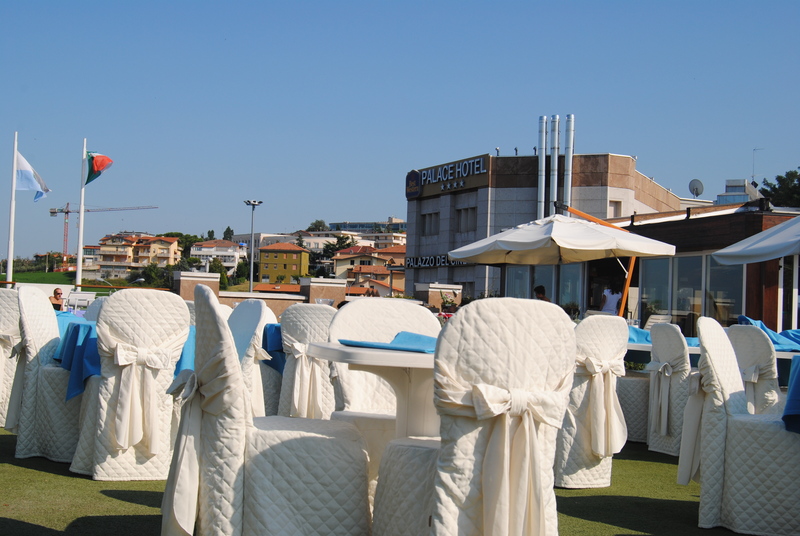 Its origins are linked with mysterious figure Saint Marinus, a stonecutter from Dalmatia who sought refuge in the nearby Rimini. Subsequent vicissitudes led the Saint to build his own refuge and chapel just in the heart of Mount Titano. In order to flee religious persecution by Emperor Diocletian, the deacon Marinus founded his own community, which was based on both lay beliefs and religious principles, and whose foundation goes back to 301 A.D.
Over the course of the centuries, the people from San Marino opposed any attempt of expansion. Instead, they developed a careful policy of alliances which led them – after they had won the war against the powerful Malatesta family from Rimini (1463) thanks to the support of the Pope – to gain control over a 61 sq. km large territory. The Republic obtained important recognitions from the most important personalities and institutions of that age: in 1797 Napoleon legitimated its sovereign power, and the Congress of Vienna recognized its independence while redefining the borders of Europe. Generous and hospitable, the micro-state repeatedly welcomed people who sought shelter and protection. One of the most illustrious characters who sought refuge in San Marino was Giuseppe Garibaldi, who on 31st July 1849, stopped here for 24 hours together with his troops while fleeing form the Austrians. In 1943 the Republic gave shelter to over 100.000 people fleeing the tragedies of World War II. 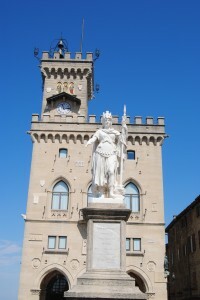 San Marino is a sovereign State governed by two Captains Regent. They are appointed by the Great and General Council and remain in charge for six months. 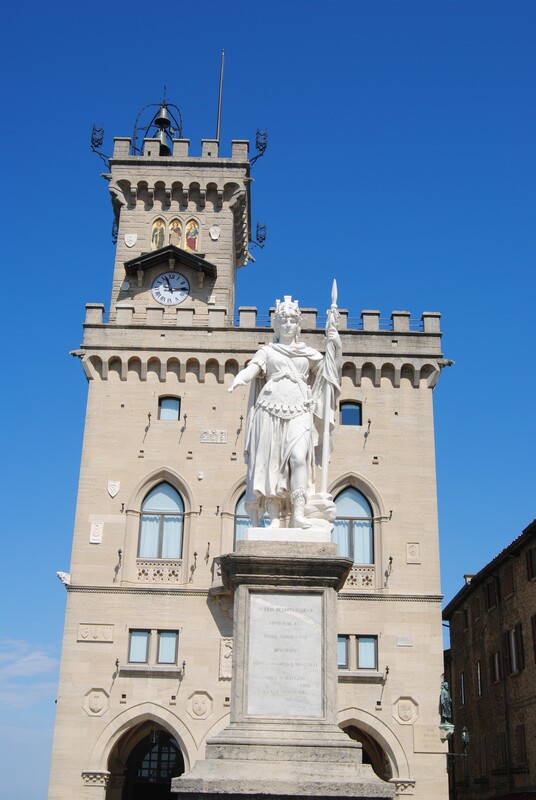 Since 2002, San Marino has the right to mint Euro coins with effigies of San Marino at the Italian Mint. The climate is temperate without extreme heat in summer or cold in winter (the average yearly temperature is +16⁰C). Public Palace: rebuilt in a neo-Gothic style in 1894 according to the project by architect Francesco Azzurri over the reamins of the pre-exiting “Magna Domus Communis”, it was remodelled in 1996 by architect Gae Aulenti. It is the State’s most representative building since it is the seat of the Captains Regent, the Great and General Council and the Government of the Republic and also hosts the most important civic celebrations. 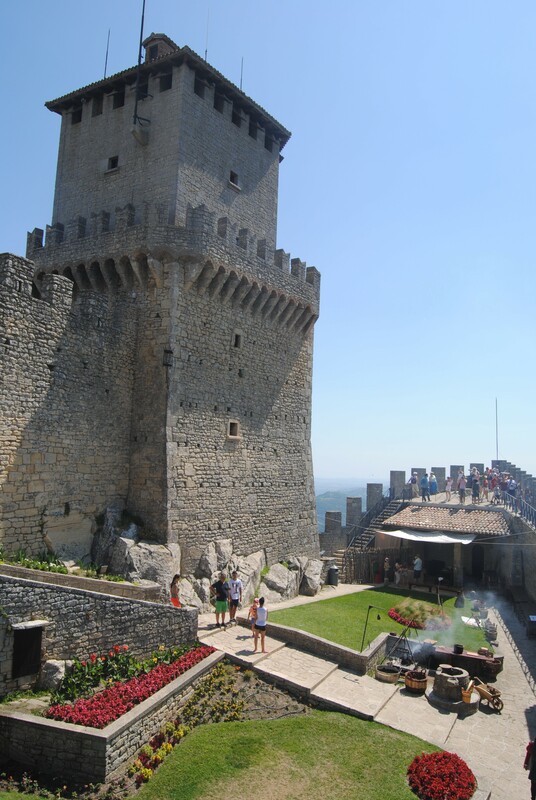 First tower (Guaita): It is the first of three towers built in San Marino and dates back to the XI century. Subsequently enlarged and remodelled, it achieved utmost splendour in XV century during the war San Marino fought against Malatasta family from Rimini. 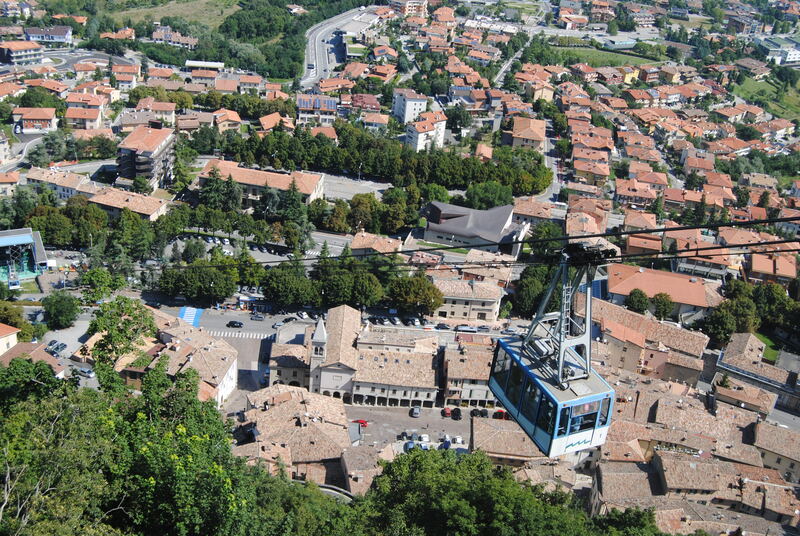 Officially chosen as the seat of the Guardia die Rocca in 1754, it had previously been used as a prison up to 1975. San Marino’s “Castelli”: The Republic is composed by nine districts called “Castelli” (Castles), including the capital San Marino. 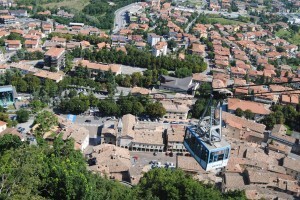 The other are: Borgo Maggiore (old market town since 1244), Serravalle (including a Sports Centre and home of one of the ATP Challenger official player hotels Best Western Palace), Faetano (last place to be annexed to the Republic in 1463), Domagnano (small village of the 14th century), Chiesanuova (with a beautiful landscape and a medieval castle), Acquaviva (includes the Monte Cerreto nature park), Fiorentino (an ancient Malatesta fortress) and Meontegiardino (with beautiful architectural features).